Four matches this week re activate the Davis Cup 2019 fever in the international scene. The four matches will be held on 5th – 6th April at Group II level across the Americas, Asia/Oceania and Europe/Africa regions. Europe/Africa will hold two ties, with Romania hosting an encounter with Zimbabwe in Piatra Neamt and Morocco hosting Lithuania to Marrakech. The third tie will be when Thailand plays Philippines on the home court in Nonthaburi in Asia/Oceania Group II and the last clash of this week will be bewteen El Salvador and Peru in Santa Tecla in Americas Group II. 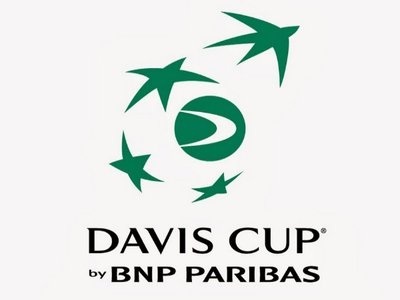 The four ties, will be the first to take place in the new format of Davis Cup outside of the Qualifiers in February. Under the new format, both of Groups I and II will see six ties hosted in Europe/Africa and three ties in each of the Asia/Oceania and Americas Groups. In September, eight more Group II ties will be contested, after nations are given the option of staging the ties in either April or September. All 12 Group I ties will take place on either the 13-14 or 14-15 September, with nations are given till 25th June to finalize day combination of Friday-Saturday, or Saturday-Sunday. The winners at Group I level will progress to the 2020 Davis Cup Qualifiers in February, with the final goal of booking a berth in the most important place – the Davis Cup Madrid Finals.